A Space Act Agreement (SAA) has been announced between Altius Space Machines and NASA’s Langely Research Center (LaRC) to develop concepts for a new series of compactly-stowable, long-reach spacecraft robotic manipulators. The agreement will allow for Altius and NASA to jointly develop a new and novel Compactly Stowable Manipulator (CSM) system. Altius Space Machines is a space technology company, based in Louisville, Colorado, founded with the goal of reducing the barriers to space commerce. The company has already hit the ground running, wining first place in the 2011 NewSpace Business Plan Competition in Silicon Valley. Altius is known in the space community for its work in developing rendezvous and docking solutions using its Sticky Boom non-cooperative capture technology, for space stations and propellant depots, manned spaceflight, satellite servicing, and other applications. The company recently announced it had signed a contract with the Defense Advanced Research Projects Agency (DARPA) to provide engineering services as part of the DARPA Phoenix Program. 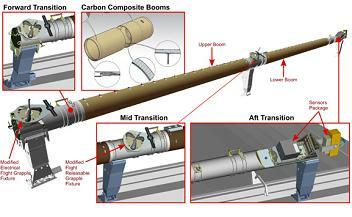 That contract calls for Altius to develop and integrate a storable tubular arm (STEM) for use as a platform for situational awareness cameras and lights, and as a tool to reduce unwanted vibrations on parts of the target spacecraft caused during the component removal and repurposing operation. The SAA with NASA LaRC relates to the development of concepts for compactly-stowable, long-reach spacecraft robotic manipulators, or robotic arms as they are commonly known. Some of the most famous robotic manipulators were involved with the Space Shuttle Program (SSP), with the SRMS (Shuttle Remote Manipulator System) debuting with Columbia on her STS-2 mission at the end of 1981. 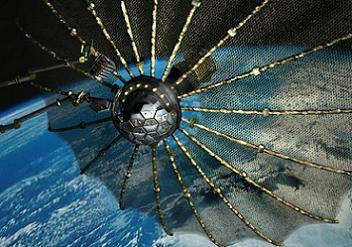 The 50 foot boom was used in a variety of modes, from grappling payloads on orbit, to handing over cargo from the orbiter’s cargo bay. 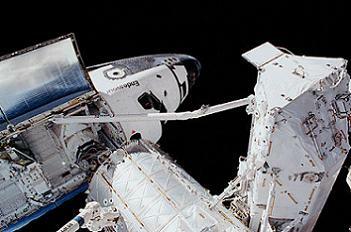 Once the International Space Station begin its assembly phase, the orbital outpost gained its own robotic arm, known as the SSRMS (Space Station Remote Manipulator System) or Canadarm2. Somewhat larger than the Shuttle version, the SSRMS incorporates many advanced features, including the ability to self relocate. It was soon joined by Dextre, a multi-capable Canadian robot that resides on the end of the SSRMS during operations, along with smaller robotic hardware on the Japanese section of the Station. The Shuttle also gained a second arm, a post-Columbia improvement called the Orbiter Boom Sensor System (OBSS), which was used – on the end of the SRMS – to provide the additional reach to manuever a sensor suite over critical parts of the orbiter’s Thermal Protection System (TPS) in order to gain data and photography of the heatshield’s health. 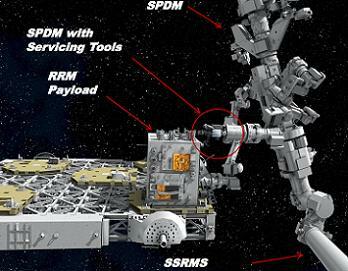 Due to the growing size – and smaller clearances – of the Station and the modules riding uphill, NASA managers did evaluate a smaller RMS known as the “Miniboom”. However, that was cancelled in favor of an additional OBSS. Now, a new generation of booms are being developed by Altius, with the non-reimbursable Space Act Agreement (SAA) with NASA LaRC specific to the Compactly Stowable Manipulator (CSM). “As the name suggests, the CSM will have a very small packaging volume, yet be capable of highly-dexterous, long-reach operations,” noted Altius in a media release on Tuesday. Satellite servicing has already begun testing via NASA’s Robotic Refuelling Mission (RRM) experiments – involving Dextre – on the ISS. And while no discussions with the ISS program office have taken place yet, Altius believes that their technology has the potential to add important new capabilities to the Station. “Research performed at orbital facilities such as the International Space Station (ISS) would be dramatically more agile and competitive if there were a means for providing small-package payload delivery and sample return on a just-in-time basis,” the company added. CSM is a multi-talented technology, that also addresses the needs of future spacecraft, vehicles that are currently without defined plans for RMS capabilities that were enjoyed by spacecraft such as the Space Shuttle. “Commercial crew and cargo transportation vehicles and NASA exploration vehicles, such as the Orion Multi-Purpose Crew Vehicle (MPCV), would accrue significant benefits if a robotic arm with performance capabilities similar to the Shuttle Remote Manipulator System (SRMS), but having much higher packaging efficiency, could be developed to fit on such vehicles,” added the Altius release. Space manipulator development is performed at the Langley Research Center for the Game Changing Division of the NASA Office of Chief Technologist under the Human Robotics Systems Project. With Altius now onboard, the parties will benefit from the commercial requirements and systems engineering input provided by Altius, which will link very long-reach tendon-actuated manipulator technology development to commercial space missions. Altius claims these new mission concepts and the technology developed under this SAA have the potential to open up completely new lines of commercial-space operations in payload handling, servicing, repair, and assembly. 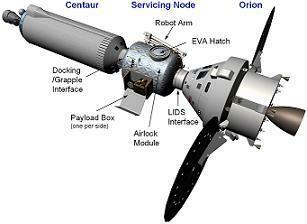 (Images via Altius Space Machines, NASA, MDA and L2).